FURUNO ITALIA introduces the new SC33 Satellite Compass. which provides highly accurate attitude information for navigation equipment such as radar, plotter, autopilot, fish finder and sonar. The new SC-33 has been designed to be the perfect heading sensor for your Multi-Function Display (MFD), such as NavNet TZtouch and TZtouch2 series, and any other navigation instruments using the NMEA2000/CAN bus. This all-in-one system delivers incredibly accurate heading and roll & pitch information of ±0.4° as well as heaving information, GPS position, SOG (Speed Over Ground), COG (Course Over Ground) and ROT (Rate Of Turn) data. Employing a two-antenna system with a 3-axis gyro and acceleration sensors, the SC33 enables high-speed response capability. The latest available functions such as Target Tracking and True Echo trail can be activated when the SC-33 heading sensor is connected to a Radar supporting both functions. The SC-33 provides any AIS receiver with the most accurate heading and positioning data to ensure the safest navigation. For Sonars without stabilizers, the SC-33 can provide Pitch and Roll Compensation so the detection remains stable. 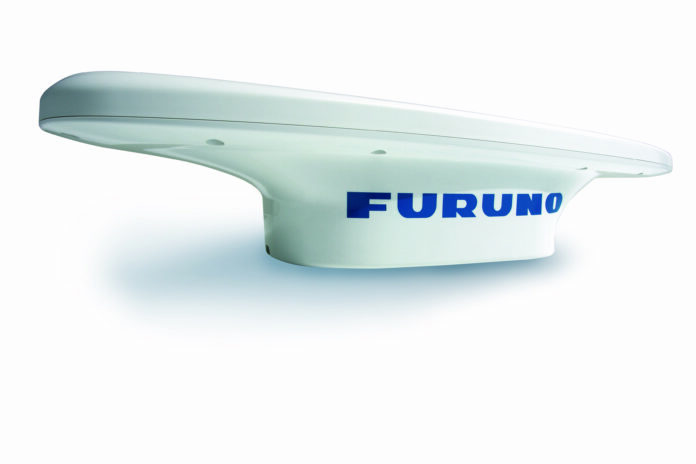 With its compact GNSS antenna and built-in processor, it can be used for a wide variety of applications on any type of vessel. NMEA2000 interface is standard for simple installation, while the optional interface unit IF-NMEASC is available for conventional NMEA0183, AD10 and contact closure.